With a new fire comes a new fire surround, choose the perfect fireplace from our wide range available. Get expert assistance when you need it, gas fires and stunning fire surrounds installed by experts. 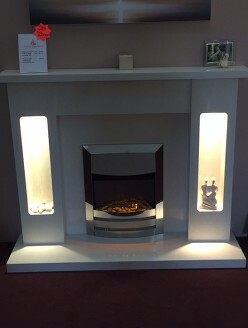 Gas fires are highly effective, low maintenance and look extremely realistic. With a huge range of leading brands available we are confident you will find the perfect fire for your home. Visit our showroom and see for yourself the stunning fires we have from Stovax & Gazco, Nu-Flame, Legend Fires, Valor and many more!